"I went into this VERY skeptical, I cheated one time (the 1st 3 days of very low calorie diet (VLCD), I bit the head off of a cinnamon gummy bear, because it looked at me wrong... I felt so guilty for it to). 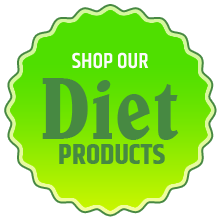 I found the diet (VLCD) VERY easy to follow, it was very satisfying, I started to crave the healthier foods over the things I once craved (I didn't eat well at all before, I loved NACHOS and soul food!)... I noticed the scale going down and couldn't believe my eyes... I am now a strong believer in the diet, after 30 days on the VLCD, I weighed in at 156.6, and lost 22¼ inches all over, it just blows my mind how fast the weight and inches came off! I am now in my 1st week of maintenance, I plan on following it strictly as well and doing a 2nd round in 6 weeks... This has been a total lifestyle change..." ~Amber K.
"Simple... it works. I tried other weight loss methods such as weight waters, slim fast, advocare, and fasting every other day (which was miserable) and nothing worked. I would lose a few pounds here or there, but nothing substantial... the weight loss was so slow or barely noticeable on my body, so I would get discouraged. BUT NOT WITH HCG! I lost 4 pounds my first day and immediately felt less bloated. Within a week my clothes were fitting better. I love this diet, short, sweet, and to the point with fast weight loss. I've been maintaining for a little over 6 months and plan on doing another round soon!" ~Cassie G.
"It helped me detox from harmful food chemicals and from caffeine. But the time I was done with this diet I had lost 18 pounds, my clothes were fitting better around my waist and legs. I also had stopped drinking coffee and stopped eating like crap. After the diet was over it was easier to choose healthy foods (I ate a lot more vegetable than I did before) and I knew how to cook them better because of being forced to do it while on the HCG Diet. I've told a lot of people about this diet and this company and I've already starting hearing back from friends and family with positive results. This diet will change your life if you let it." ~Crista A.